Below you will find our most standardised moving floor types. 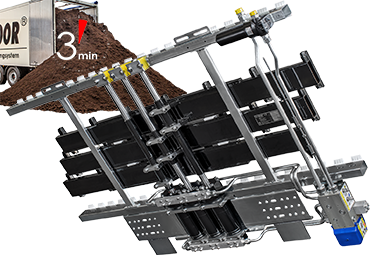 In addition to these standard models, there are also project-specific drive units for larger volumes, weights and basically any dimensions. Please contact us if you require information regarding these models. 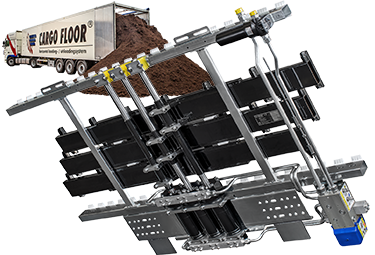 The CF500 SLC Cargo Floor system is the ultimate standard model and can, for example, be deployed for bulk product pallets. Suitable for a load of up to 40 tonnes. 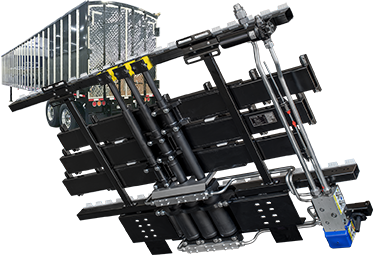 The CF500 SLC Power Speed system is the fastest unloading system available on the market. 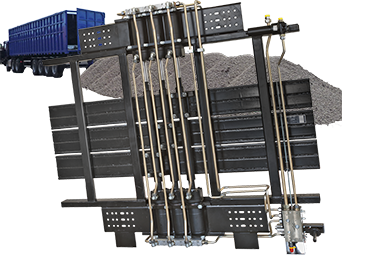 The Bulkmover moving floor system only has 15 floor profiles and is only suitable for the transport of bulk material. Suitable for loads of up to 40 tonnes. 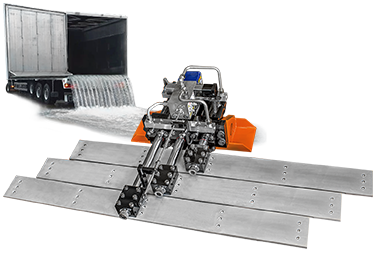 The CF600 system is suitable when you want to generate a high capacity with a low pressure. A higher oil flow is required for the optimum speed. Suitable for loads of up to 50 tonnes. 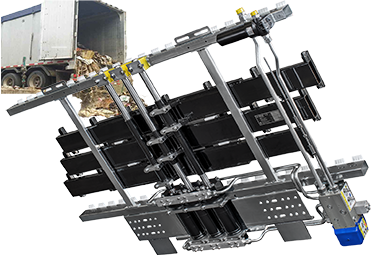 The leak proof CF3 LP system is a 100% watertight solution and therefore extremely suitable for the transport of waste products. The CF500 SLC leak resist system is nearly completely watertight and therefore very suitable for the transport of moisture-containing waste products. 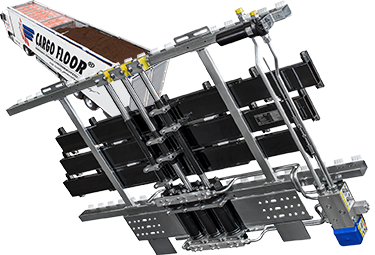 The CF800 heavy duty sliding floor system has been designed for the most extreme applications and can, for example, be deployed in mining. Suitable for loads of up to 80 tonnes. 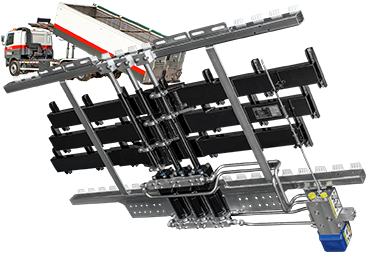 The CF100 SLL Cargo Floor moving floor system is a light system for integration into, for example, containers and swap bodies. Suitable for loads of up to 20 tonnes. 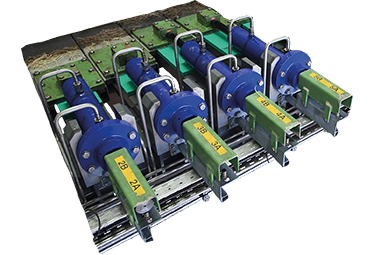 In relation to the cylinder per plank drive, both the capacity and the dimensions can be built up modularly and therefore the combinations are virtually infinite. Suitable for loads greater than 500 tonnes.